I am happy to report that my photograph, Two Chairs, was juried into this month’s Art League “mini, max” show. 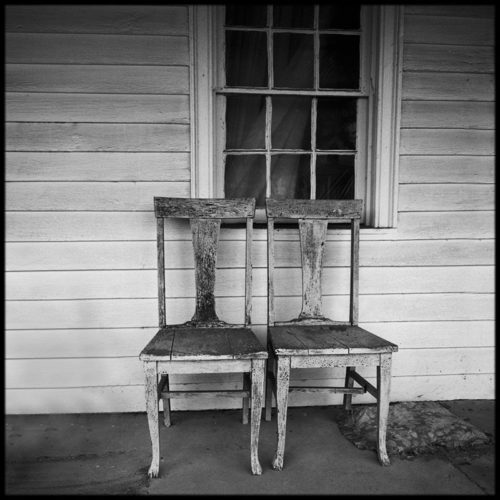 The chairs I photographed are on a porch in Hampshire County, West Virginia, a beautiful locale where I love to photograph. There are a number of other great chair combinations on that same porch. I have photographed some but others await me.